Looking For Homes For Sale In San Mateo County? San Mateo County Peninsula is located north of the San Francisco Peninsula Bay Area and north of Silicon Valley. 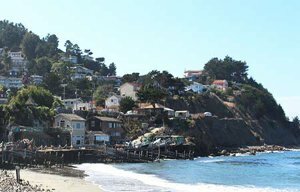 There are several cities, towns and neighborhoods that make up this beautiful County, as the largest part of San Francisco Peninsula belong San Mateo County. The San Francisco International Airport, Facebook, Google, Genentech, YouTube, Giant, and Oracle are just a few of the businesses that call San Mateo County home. For this reason, new job opportunities are one of the main reasons that people relocate to this area. Others prefer to find a neighborhood that offers laid-back lifestyle that they have always dreamed of having! There are several schools in San Mateo County, many of which families come to the area for. Throughout the San Mateo County, there are four colleges/universities, ten middle schools, nine intermediate schools, sixteen high schools and over few dozens of public elementary schools and numerous public libraries for families to utilize. Many of schools that are in San Mateo have been given state awards for their educational excellence. Also, many schools offer programs that are designed for those highly talented students to ensure that each student achieves the most success. There are 25 school districts that call San Mateo County home. Each neighborhood thrives on community and parent engagement. The Department of Parks and Recreations in San Mateo County is home to 17 parks, three local trails, and many regional trails. Due to the mild temperature, parks are a huge local attraction for families and individuals who live in the area. Many families spend entire weekends picnicking, hiking and even horseback riding. 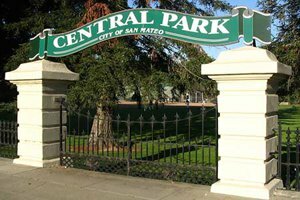 The parks in San Mateo are made up of more than 15,000 acres. Visually, mountains and the coastline make up the scenery that will be seen. If you love the outdoors, San Mateo County is going to be heaven for you! Taking a day to simply enjoy the beaches, hiking trails in the area, biking, and horseback riding on the beach are all activities that can be found here. You are never going to feel as though you must stay stuck in your home on a gorgeous day here! Why Move to San Mateo County? All communities that make up San Mateo County offer a rich diversity of amenities. These amenities range from gorgeous homes and condos, upscale dining, some of best shopping in the area, terrific public and private school systems, entertaining parks to amazing beaches! There is something for everyone who wants to live in this area and is looking for homes for sale in San Mateo County, CA. Temperature wise, San Mateo County has a mild climate. Those cities that are located along the coast of Pacific Ocean are considered perfect for most people. However, if you go inland a bit in the middle of the Peninsula or towards the southern edge of the Peninsula, you will find that temperatures are often 5 to 10 degrees warmer. Temperatures in the area rarely go above 90 degrees and offer little to no humidity. During colder months, temperatures rarely drop below freezing. Rainfall in the area is often less than 20 inches per year. Homeowners that live along the Pacific coast will experience fewer foggy days during the summer, however, moving more inland will see the fog disappear. We get the warmer climate during the months of September and October. It&rsquo;s called Indian summer. Weather in San Mateo County is just one of the reasons people cite for loving the area! And it will be just one more reason for you to utilize to showcase why you want to move here. Lastly, the communities and easy access to other areas like San Francisco, Alameda, and Santa Clara are yet another reason people love this location. Even those who do not work in San Mateo County find living conditions to be more favorable. Thus they commute a short distance to work. So, what are you waiting for? Let's make San Mateo County your new home! Mayra Espinosa Group of San Mateo Peninsula Homes has been assisting families to relocate and find the perfect homes for sale in San Mateo County, CA for over 13 years. We love our job assisting families to move into the best neighborhoods in San Mateo Peninsula is our priority. We can do same for you. Get the house in Burlingame or San Mateo that you always dream of tree-lined streets of San Mateo County! 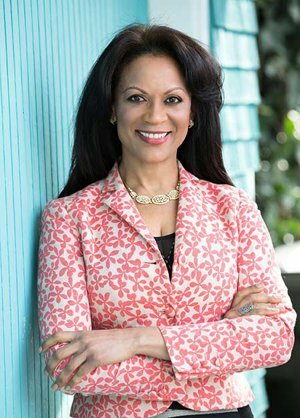 Mayra and her team are devoted to making the buying or selling process in San Mateo County an enjoyable, stress-free and ultimately rewarding experience.